This beautiful 4 bedroom, 2 full bath house is freshly painted (walls and ceilings) with brand new carpeting. Don't miss this fantastic house with great features like vaulted ceilings, hardwood floors, and a huge master bathroom with three closets! A short walk to the Ozarks Greenway Trail and surrounded by newer homes. This house is in Wanda Gray/Cherokee/Kickapoo school districts. FREE TRASH SERVICE (included with association dues paid by landlord). Pets are negotiable but will require an additional deposit. 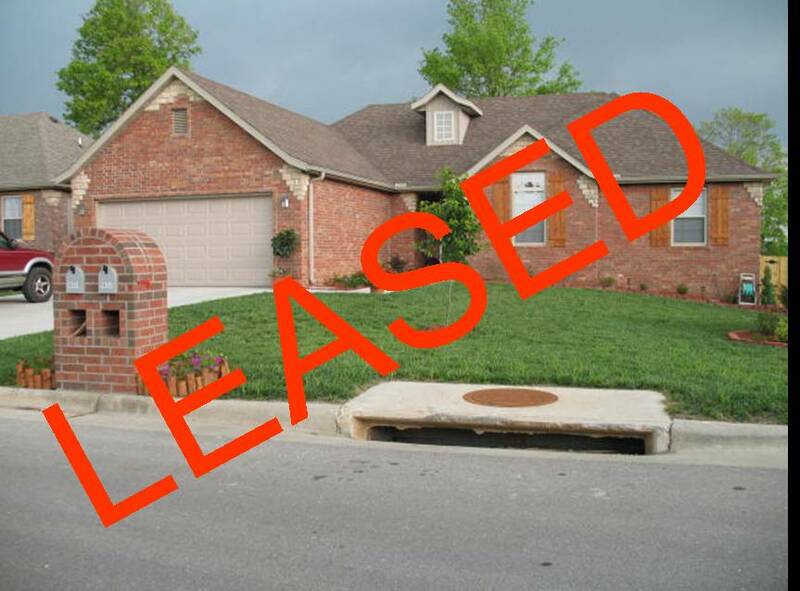 UPDATE: This home is leased through August 2017.